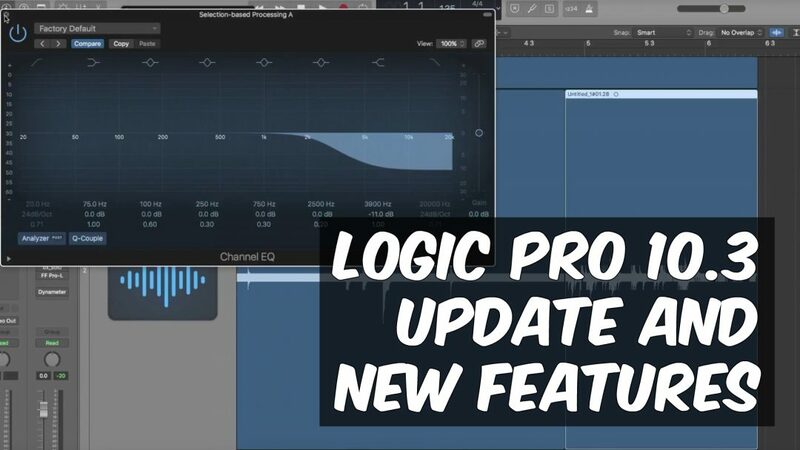 Apple recently upgraded their DAW Logic Pro X to version 10.3. This update includes new features like selection based processing. Selection based processing allows you to highlight a section, add a plugin, do whatever processing you want, and click apply. Once you do that you can add the plugin directly to the selected region. This a really cool time saver and alternative automating your plugins. To see the new features in action, check out this video that Rob Mayzes from Musician on a Mission made for us! Thanks for checking out the video. You can get Rob’s 15 hour course on producing music in Logic Pro X for $28.50. Click the picture above, or go here.